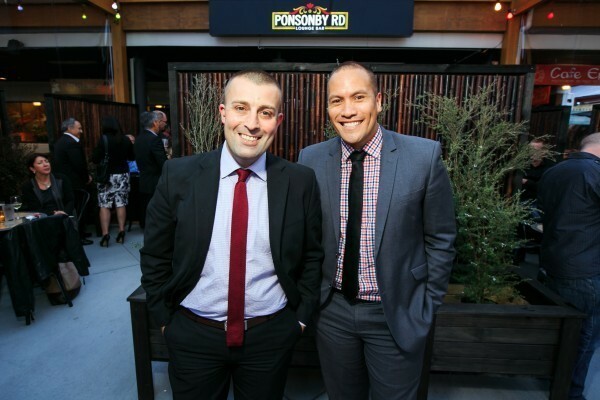 The MP and former TVNZ Presenter made the announcement at the Big Gay Out. Labour MP and former TVNZ presenter Tamati Coffey has announced today that he and his partner Tim Smith are expecting a baby. The couple who had a civil union in 2011 have been together for the past decade. Mr Coffey made the announcement at the 20th Big Gay Out at Coyle Park in Auckland where he was accompanied by Prime Minister Jacinda Ardern. “I wanted to seize this opportunity, at the biggest gay event in the country right now, to share the news that me and my partner over there are expecting a baby in July,” Coffey said. Speaking to stuff.co.nz, after the announcement, Mr Coffey said the baby was being carried by a surrogate who was currently 20 weeks pregnant. Mr Coffey said that Big Gay Out seemed an appropriate place to make the announcement. “This is a day where we all come together – all types of people under the rainbow umbrella. We have all kinds of modern families going on and represented here, so I applaud that,” he said. Coffey was elected MP for Waiariki in 2017, defeating the four-term Maori Party incumbent, he had previously been a weather presenter for TVNZ’s Breakfast show and the host of New Zealand’s Got Talent, he was also the 2009 winner of Dancing with the Stars.